Paint any of our paintings, your way! Please, you must choose a painting and add it to the notes section when you register online because this helps us have your art station ready when you arrive. No main room demo. 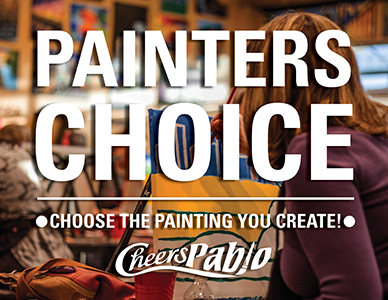 Visit www.cheerspablo.com, then go to Gallery, then Paintings to find your choice. Thank you.